Can It Be Real? 2015 Dodge Charger Hellcat?! A pair of Dodge’s full-size, four-door bruisers wearing front and rear camo, reported to be packing a version of the Challenger SRT’s Hellcat V-8. 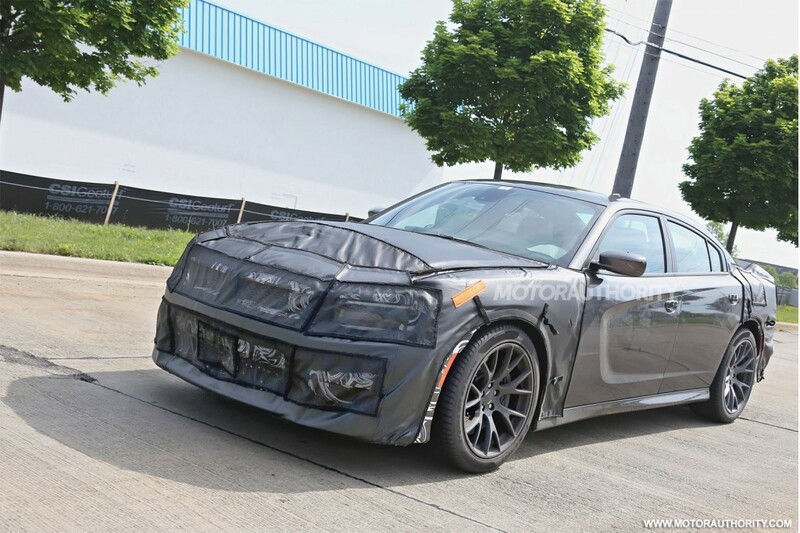 Caught testing in southeast Michigan, the partial cover-up on these Chargers can’t hide the presence of a large hood scoop, aggressive chin and trunk-lid spoilers, and larger exhaust tips. As Chrysler’s standalone tuning division, SRT was responsible not only for the Viper, but also for injecting adrenaline into a number of Mopar products in the name of performance. So when the refreshed-for-2015 Charger debuted in New York earlier this year, we were a little befuddled that the manufacturer made no mention of what SRT might be cooking up for the four-door muscle car. This car is all about the engine, in this case the Hellcat’s supercharged V-8. We expect the Hellcat V-8 to arrive packing the same 707 horsepower and 650 lb-ft of torque it makes in the Challenger, its might backed up to the same ZF eight-speed automatic transmission. The Fastest Muscle Car Ever! 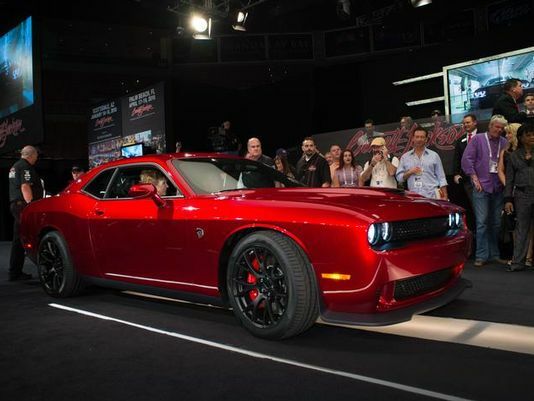 The All-New 2015 Challenger SRT, with its supercharged 6.2L HEMI SRT Hellcat engine, produces an unprecedented 707 horsepower and 650 lb-ft of torque, make it the most powerful Challenger ever, the Dodge brand’s most powerful V8 engine ever and the most powerful muscle car ever. Check out this head to head drag! !